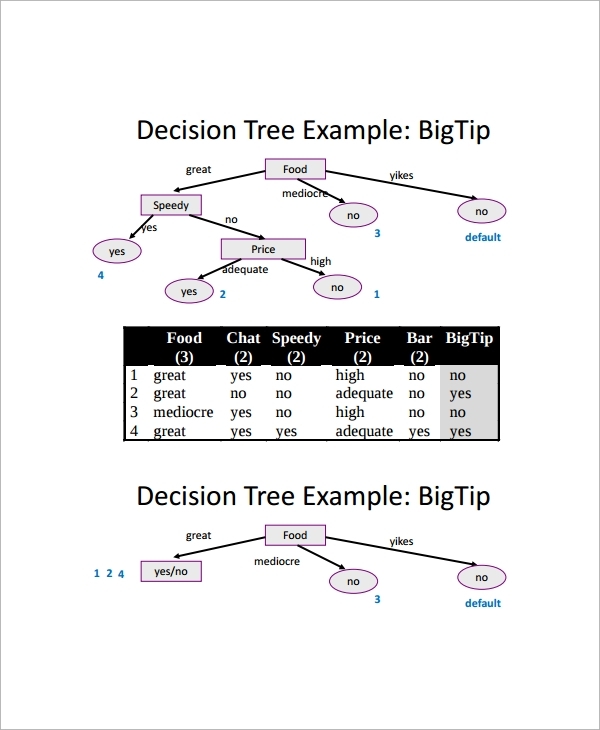 Decision trees are highly-effective predictive designs that are used in a variety of complex activities such as operations research, data mining and other advanced industries as they allow users to perform informed decision-making, in a logical order. Not only do they provide an example of easy to comprehend yet highly-effective visual representation of risks, rewards, and value of each decision, but also helps you to obtain balanced perspective of both pros and cons of every possible course of action so that you can identify the best approach to achieve your goals or desired outcomes. Download these free and premium decision Family Tree Templates that will do all the hard work for you as all you need to do is fill in the boxes and the templates will automatically map your content. This template is the basic decision-making template used for small justifications. This mainly consists of 3 stages. Here the user calculates all the possibilities of a decision, analyzes them and finally selects an appropriate option for the particular task just by using basic knowledge. Here, the user will be taking two possibilities for a decision such as yes and no. If yes, continues with decision making by following certain points and if no, follows a different set of instructions. So in this case, there will be two resultant results based on selection whether true or false. 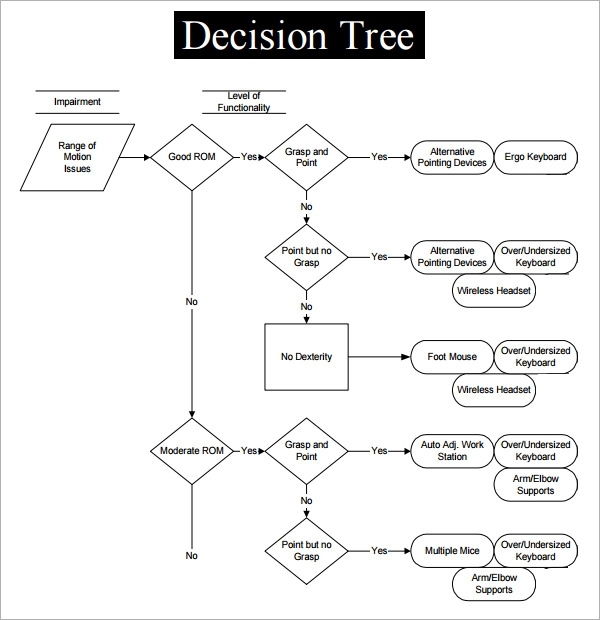 Decision tree PDF template consists of 3 steps for decision making. First, the given set of instructions will be divided into 2 steps as step 1 and step 2. And by taking into account the two results, performs a practical approach and finally declares a single result without any issues. In this template, the user need not wait for the final result. The user can keep track of each and every category’s resultant outputs and verify it. Once if any issues or changes to be done, those changes will be done in that phase itself creating comfort to the end user. 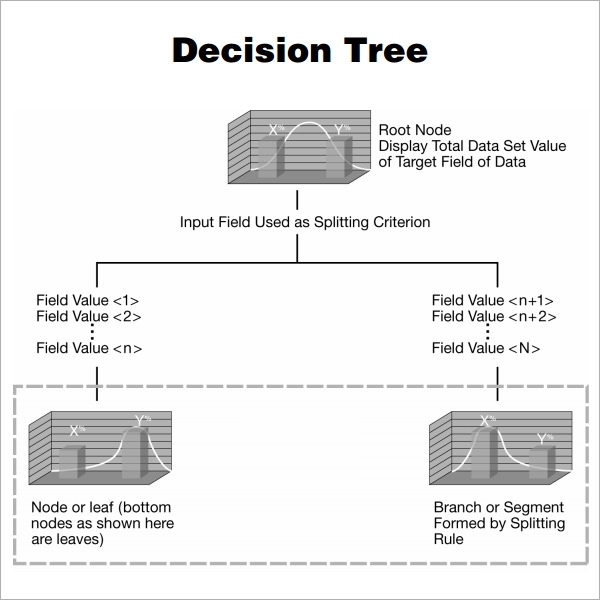 Why an Industrialist uses Decision Tree Templates? An industrialist or a software developer uses these templates to make decisions while implementing a project or testing a particular application. These templates are very much in usage now since the issues and changes can be resolved in initial stages itself. 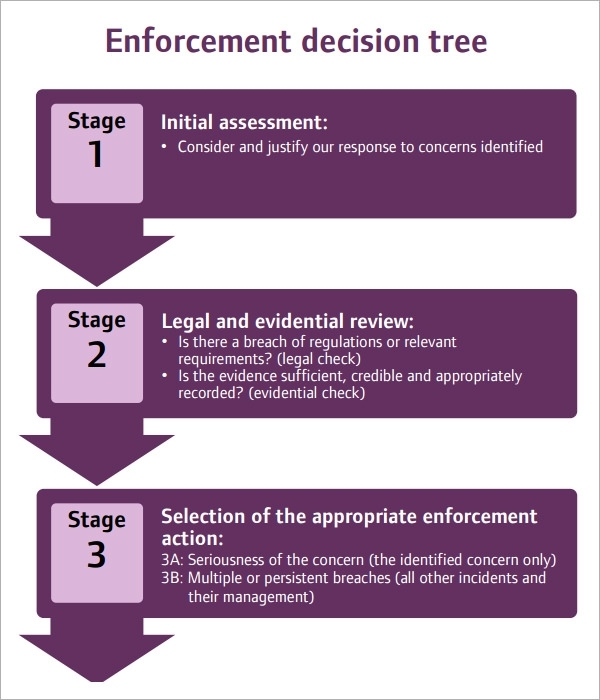 Even though a user takes certain precautions while preparing decision-making templates, there may occur certain issues. So to resolve those issues in such cases, the user will be taking the help of a decision-making template. You may like 3 Generation Family Tree Templates. When does an Industrialist need Decision Tree Templates? These days, a user needs decision tree templates in all cases. It is similar to a flow chart that we write before going on with a design while developing code for a project. 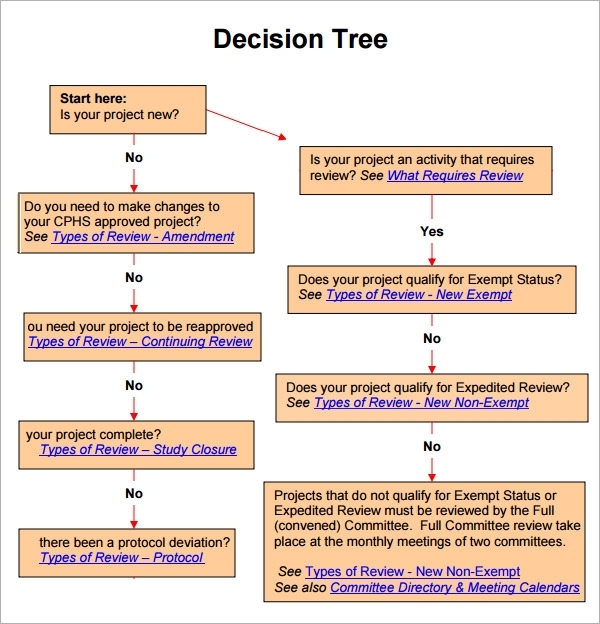 When any confusions or errors occur in a project, these decision tree templates will surely work out for implementing the projects. So even any issues occur in further future, the user need not feel unhappy with the implementation. To implement in projects of all the industrial categories, an industrialist looks for decision tree templates. In all the situations where the final decision is required, the user will be using these decision tree templates. You can also see Blank Family Tree Templates. 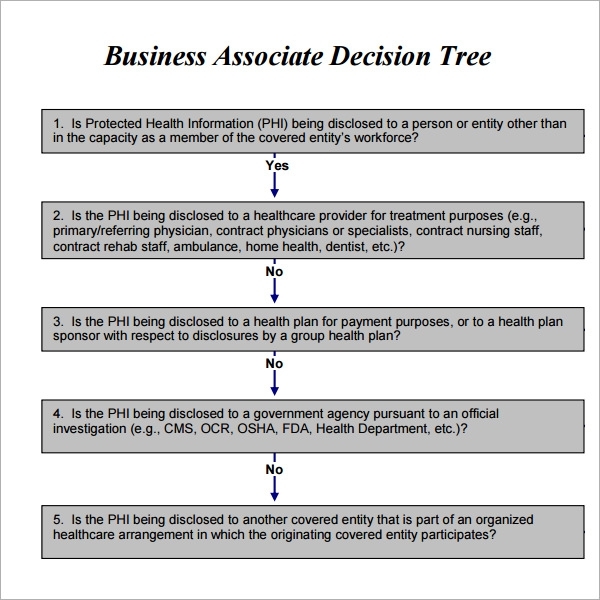 What are the Benefits of Decision Tree Templates? Decision-making templates work out well while implementing project requirements, developing a code by following a pre-designed initial procedure, testing a particular software application for software employees etc. 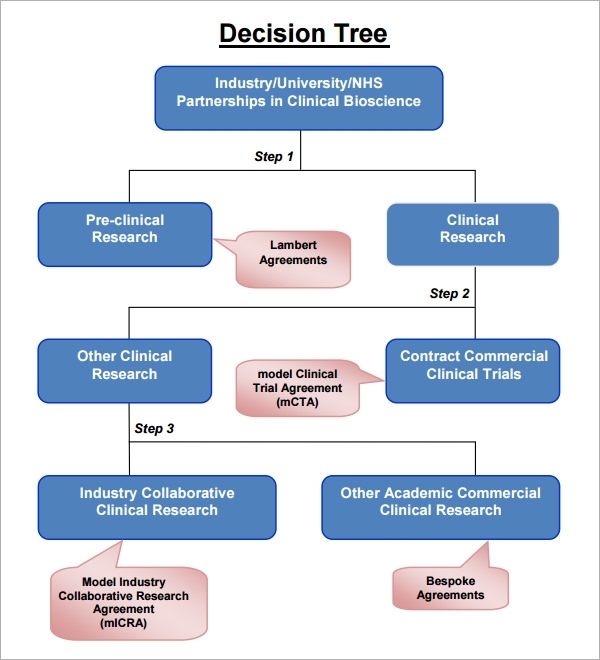 Here we have provided all the free downloadable decision tree templates for user convenience. 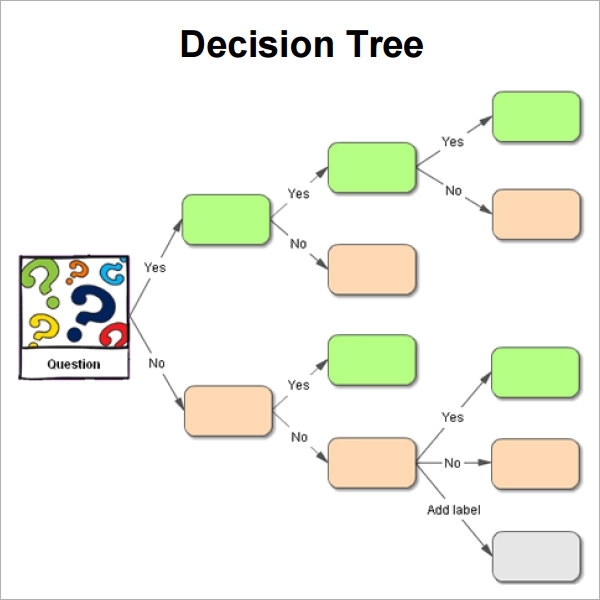 If any user in need of decision tree templates, then they can feel happy with all above mentioned templates for sure. You may also like Phone Tree Templates. Do not wait anymore! Go through the above mentioned all decision tree templates and select a required template for your requirement and finally select the ideally opted out one for your project with all the applied conditions.